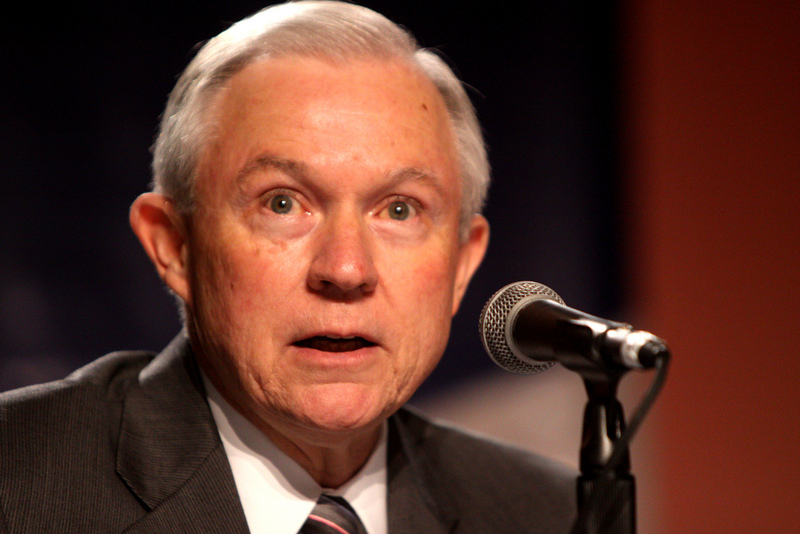 In early March 2018, United States Attorney General Jeff Sessions referred high-profile asylum cases to himself, drastically altering the immigration process for asylum immigrants. Asylum is a special type of immigration status granted to people who cannot safely return to their home country because they would be persecuted for their race, religion, nationality or political beliefs. Asylum immigrants can come to the United States either legally or undocumented but must file their case with one year of arriving. The case is then reviewed, either by an Asylum Officer or an Immigration Judge, who decides whether the person’s claim should be granted or denied. Prior to 2014, the Asylum Officers and Immigration Judges could decide asylum cases just by reading them. However, in 2014, the US Board of Immigration Appeals, the highest court in the immigration system, made the landmark decision that all asylum cases filed in the United States were entitled to be heard. This meant that every single person who pleads for asylum had the right to an interview with the Asylum Officer or Immigration Judge assigned to their case. In early March 2018 however, Attorney General Jeff Sessions overturned that decision. He did so by taking the 2014 case under his own jurisdiction– meaning into his own hands, and declaring that asylum cases were not entitled to an interview. As the Attorney General, Jeff Sessions is the head of the Immigration Courts. As such, he does have the power to this. His actions, however, have two major consequences. First, it severely limits the rights and opportunities of immigrants claiming asylum. Asylum immigrants often arrive in the United States traumatized, frightened, and entirely unfamiliar with the legal system and even the language. Prior to March, they at least had the chance to plead their case directly to another immigration judge. Now, asylees are no longer entitled to an interview, which means their cases can be denied after a simple read-over by an officer without the chance of having a hearing. This makes it even more difficult than it already is for people to gain legitimacy through asylum. Second, it also means that the Attorney General can make single-handed decisions that immediately affect the entire immigration court system. Aside from getting rid of asylum interviews, Sessions also reviewed a undisclosed second case under his jurisdiction. The case is classified, but according to CNN, Sessions has been asking about whether being a victim of crime in one’s home country can count as asylum. Whatever decision Sessions makes on that case will determine whether such a situation will count as asylum. This will affect hundreds of other people pleading for asylum with an identical or similar situation. These actions by Jeff Sessions make it look as though the Attorney General has the final say on all immigration cases and can change immigration processes as he pleases. However, Sessions does not have complete power. His decisions, including the one regarding asylum interviews, can be appealed (challenged), which brings them out of the immigration courts and his jurisdiction, and into the Appeals system of the United States Courts, headed by the Supreme Court. In this time of uncertainty for the immigration community, having a good advocate is more important than ever. A good advocate can help you navigate the confusing and often-changing landscape of immigration law. They can appeal your case to the right place, as the Office of Shan Potts has successfully done in the past. Shan Potts has the experience, the knowledge, and the know-how to help you make your claim. We will make sure that you, your case, and your voice is heard, even when others are trying to take that right away. I’ve been representing clients for almost 20 years. Being knowledgeable, and knowing what your options are is key to success. Call our office today to talk to an immigration attorney today for FREE. (323) 803 7147.